Springhouse stands out among all assisted living communities in Boston when it comes to quality of service provided to seniors. Residents can feel at home with the beautiful and peaceful environment of this senior living community. They have access to many available recreational facilities. This assures residents are always involved with social and educational activities that keep them busy and enjoying life at Springhouse. Springhouse offers the best assisted living in Boston, MA. More than the relaxing and fine ambience observable in the community, the smiles and warm welcome that greet every new resident make this a special place. In a community where everyone, from the staff to fellow residents, treats each other like family, Springhouse is the dream retirement destination for seniors. 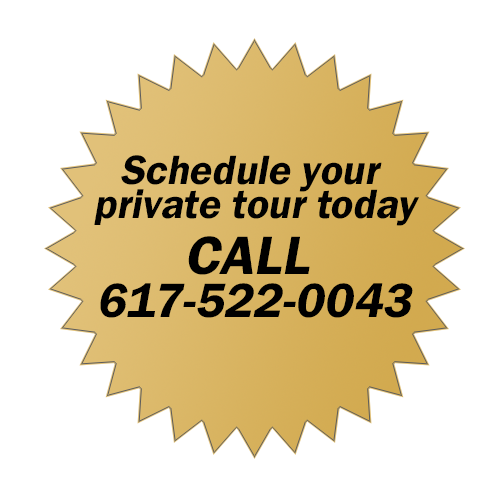 For inquiries, feel free to call 617-522-0043 and we’d be more than happy to assist you. Springhouse Assisted Living features professionally designed apartments. There are a variety of apartment styles available including studios, one bedroom and one bedroom with two baths options to suit different lifestyles and budgets. Each apartment features a fully equipped kitchenette, private bath with walk-in shower and a 24 hour emergency call system. We are happy to answer any questions about the apartment options in Assisted Living and provide floor plans upon request. Please call our community relations team at 617-522-0043. Assistance with activities of daily living such as bathing, grooming, dressing and escorts to meals. “The heart of any home is not the tastefully appointed environment itself, which truly exists at Springhouse, but is the feeling of happiness and peace of mind which abound for the residents and which can be attributed to the “Springhouse Team.” To each and every one of them I will be eternally grateful for their caring ways extended throughout the years not only to my parents, but to all who now call Springhouse home."